The year was 1991 when we, Radhe Industrial Corporation, initiated our firm, which incorporated in 2002 when we established our presence in the business of manufacturing, supplying, trading, distributing and exporting a wide gamut of Briquetting Press, Flash Air Dryer & Wood Cutter including Briquetting Press & Projects, Industrial Dryer & Machine and Industrial Cutter & Crusher. We offer products of optimum quality, resulting which, have developed long-term relationships with our clientele. Our offerings are widely recognized by our customers and are aimed at fulfilling their exact needs. The best possible way to acquire success is to offer products of unsurpassed quality and thus, we take several measures towards that end. Fabrication of machines is done at our own in- house infrastructure with the help of our hired professionals who utilize cutting-edge technology for the same. 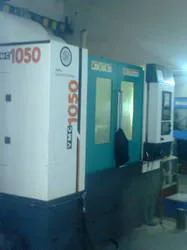 The frame work that we have at our work place is equipped with all the technically advanced machines. We have distinguished departments in order to carry out our processes with ease and convenience. We keep a check over the up gradation of machineries so that innovative products can be brought forward for our valued customers. Maintaining international parameters while fabricating machines is our strict policy and our professionals are guided thoroughly to follow these measures by carrying out several quality check procedures at various stages beginning from the procurement of raw materials to the final fabrication. Providing timely delivery of machines of optimum quality has made us favorites among our customers. 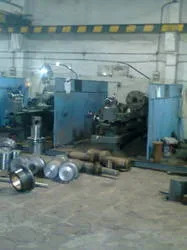 Work environment at our premises is harmonious and we together stand as a family. Mr. Bhupendra Shah, our Director, has always worked hard in building our company’s reputation with his expert ideas and leadership qualities. He along with our work force has brought up extra ordinance in our fabricating procedure resulting in market strength and prominent clientele. Committed to become the favorite among our clients, we are delivering best possible products that are helping the environment to be eco- friendly. 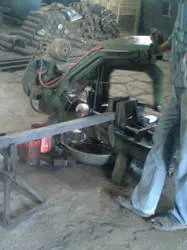 We fabricate machineries which are meant to serve for a lifetime. We are exporting our product all global. 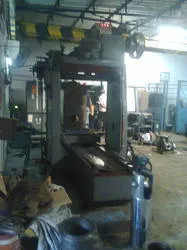 Manufacturing and Trading of briquetting press machine, biomass briquetting plant and AND flash air dryer. We are incorporated with a high-tech infrastructure including several departments in order to accomplish our tasks with efficiency. We consistently update our facility as per the technical advancements in order to fabricate world-class products. We perform the fabrication procedure keeping a check over the quality of the products by following set international parameters. We are working with a team of professionals who are committed to make our company grow and to strengthen our market position. We always believe that employees play the role of a catalyst while grooming any organization and for this reason, we hire people having vast experience in the specified industry. We initiated our business with a firm concern to come up with the best range of products having finest quality and highest efficiency. We, within a short span of time, have gained acclamation among our clientele because of our qualitative production and economical prices. We, backed by a world-class infrastructure and hard working experts, are committed to work for client satisfaction and benefit.